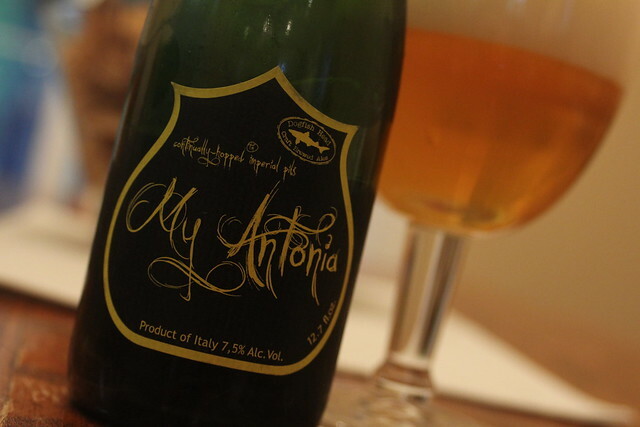 When our website first started up we did a little piece on a collaboration beer called My Antonia, and I feel it is time to revisit this magnificent lager. 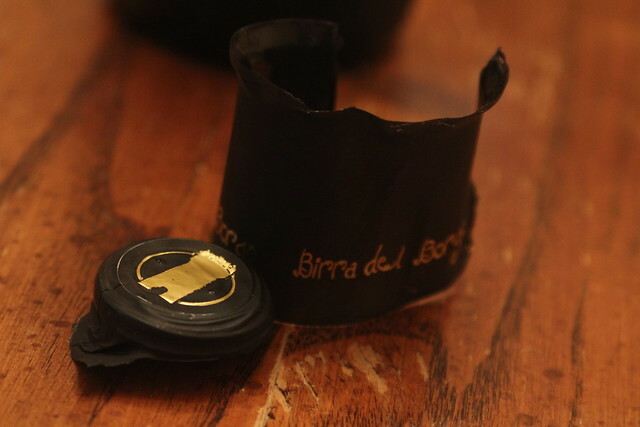 The beer was originally brewed outside of Rome (in October of 2008) by Sam Calagione of Dogfish Head and Leo DeVencenzo of Birra Del Borgo. Around 2010, Sam decided to brew it state-side so as to provide all us beer nerds a chance to sample this imperial pilsner. As you can see this bottle looks a little different than the 750’s we get here in the states. This one made the long haul across the Atlantic and comes directly from Birra Del Borgo in Italy, thanks to the good people over at B. United International. 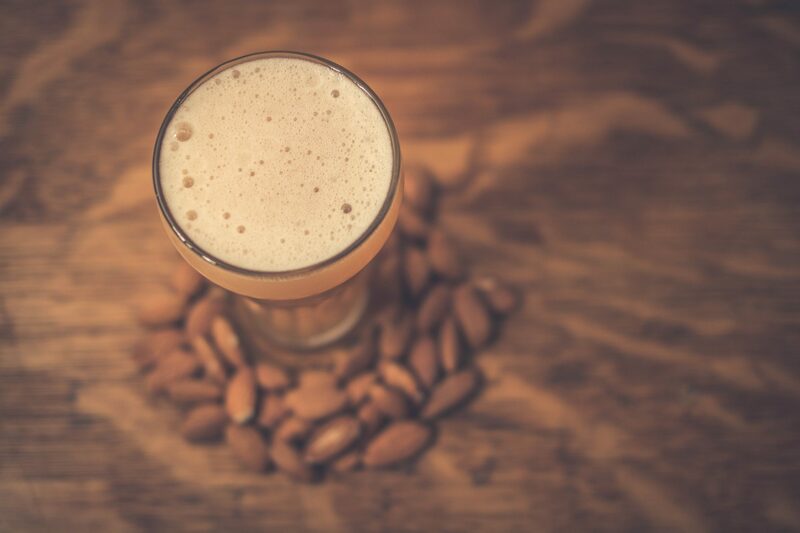 Identical to what we get here in the states, this My Antonia is continuously hopped with Saaz, Warrior, and Simcoe, giving the beer a pungent citrus nose. Suffice to say this is the most ale-esque lager I have ever come across. It’s very refreshing but most certainly not a session beer; the ideal situation would be to enjoy it on a warm spring day after you finish your chores.